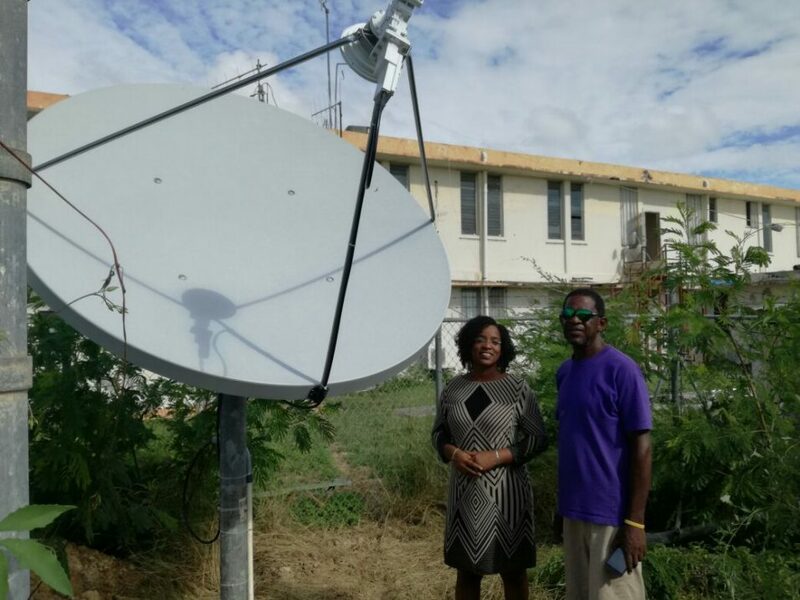 Photo – Director of Information & Broadcasting Farrah Banks (left) and Radio Anguilla Technician Lester Richardson inspect the fully functioning BBC-donated antenna. The Caribbean Broadcasting Union (CBU) is offering a sincere thank you to its international partners who came through with much-needed support for three of the radio stations hardest hit by catastrophic Hurricanes Irma and Maria. 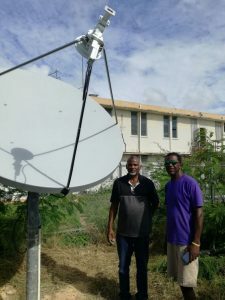 Despite suffering major damage and staff dislocation, Radio Anguilla, Radio Turks and Caicos and the Dominica Broadcasting Service kept transmitting during and after the devastation, fulfilling their mandate as public service broadcasters to provide life-saving information during emergencies. In the wake of each of the September 2017 catastrophic hurricanes, the CBU sought damage updates from its member stations in the affected countries and territories. The reports came in of wrecked transmitters, unusable studios and uninhabitable offices. And while many staff suffered destruction of their homes and other personal property, they continued to serve. 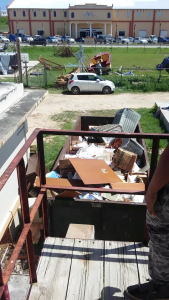 The reports of the damage and loss suffered spurred a CBU appeal to sister broadcasters via the Union’s international partners, the World Broadcasting Unions (WBU) and the Public Media Alliance (PMA). The Canadian Broadcasting Corporation (CBC) a member of the WBU, opened its warehouses to CBU members Radio Anguilla and Radio Turks and Caicos, to ensure vital information about relief and recovery efforts could continue reaching the populations served before the hurricanes brought transmitters crashing down. In fact, because of CBC’s generosity, the CBU was able to mobilise support for a former member of the Union, in a country which had been particularly hard hit, the Dominica Broadcasting Service (DBS). All three (3) radio services have been supplied with FM and 150w exciters as well as FM transmitters, and are in the process of installing the crucial equipment. 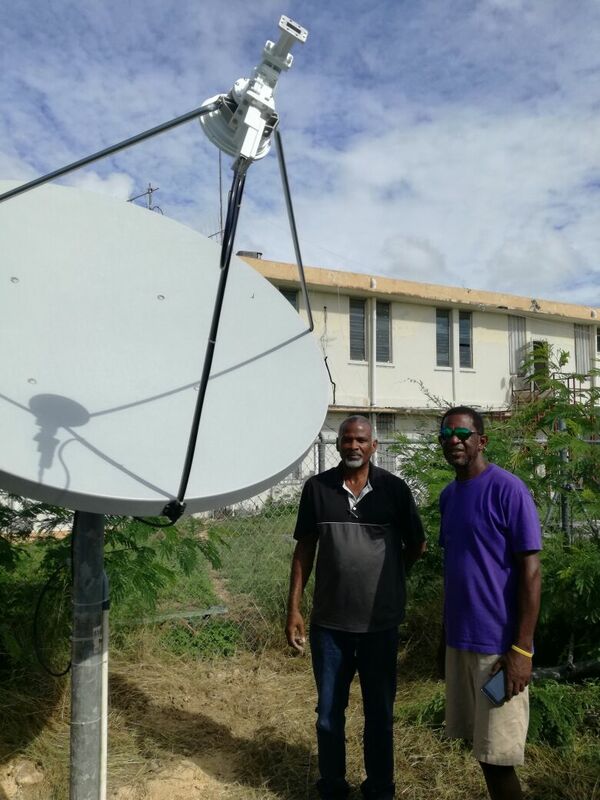 The British Broadcasting Corporation (BBC) responded with a replacement antenna for RadioAnguilla, and even sent St. Lucia-based technician, Thomas Anius to help his Anguillan counter-parts with the installation. On behalf of CBU members Radio Turks and Caicos, Radio Anguilla and former member DBS, the CBU expresses sincere thanks to the CBC, the BBC, the WBU and the PMA for their support to Caribbean broadcasters who continue to re-build in the wake of Hurricanes Irma and Maria.